A 6 year old boy was seriously injured by a falling New York Street sign yesterday afternoon. The young boy was a tourist visiting from Argentina. 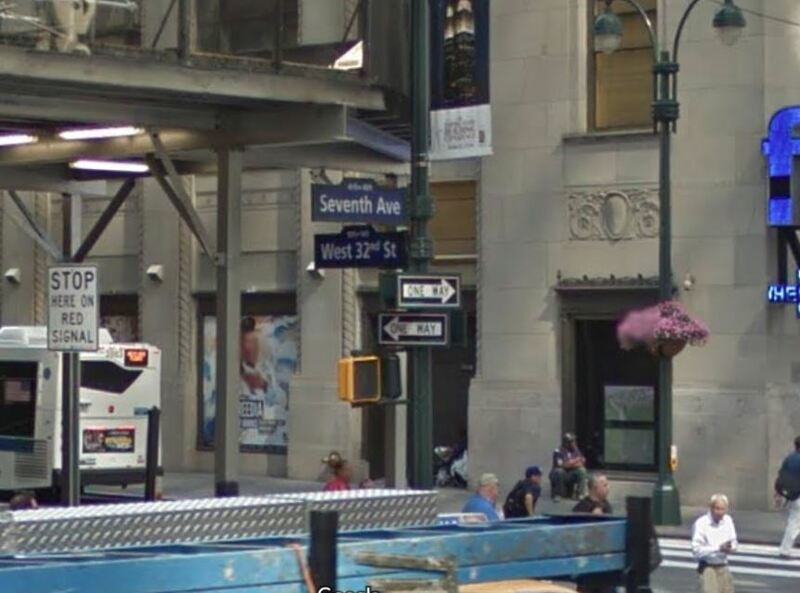 He was on the sidewalk at the southeast corner of 32nd Street and Seventh Ave when a heavy street sign detached from the pole and fell on him. The boy was unconscious and transported to the hospital. According to the NYPD he woke up and he is now in serious but stable condition. The defective sign, a large blue street sign marking West 32nd Street outside the East entrance of Penn Station fell after large gust of winds of up to 40 mph were recorded in the area. It was taken away by the NYPD. The wind was so strong yesterday in Manhattan that it took down banners and damaged scaffolding all around the city. In the Tri-State area many trees fell down and thousands lost power.